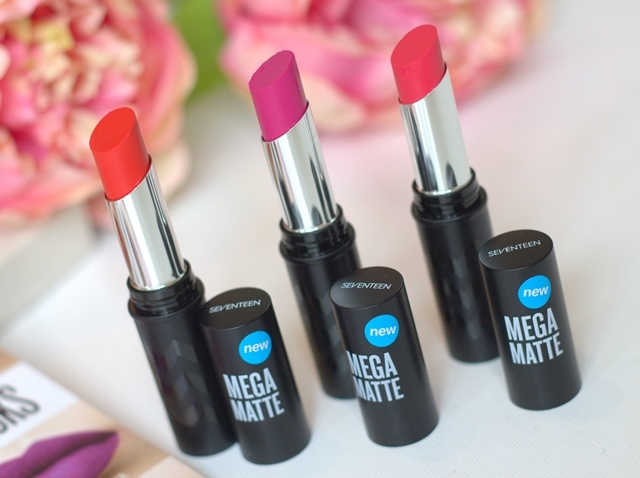 As most of you will know I am a huge fan of matte lipsticks (and SEVENTEEN as it happens) so I was very excited to hear about the launch of the SEVENTEEN Mega Matte lipsticks! 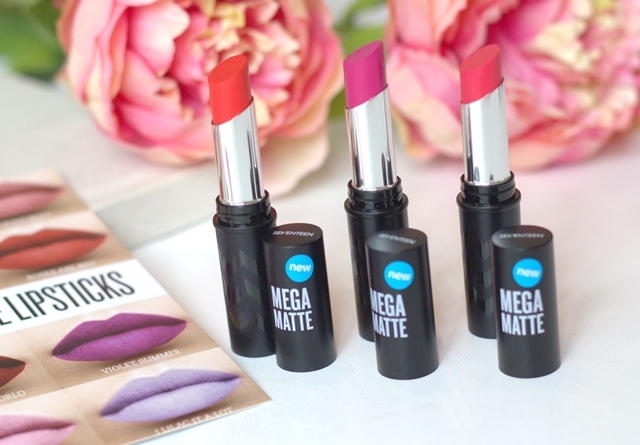 I have had some great luck with drugstore matte lipsticks so was intrigued to put these to the test. 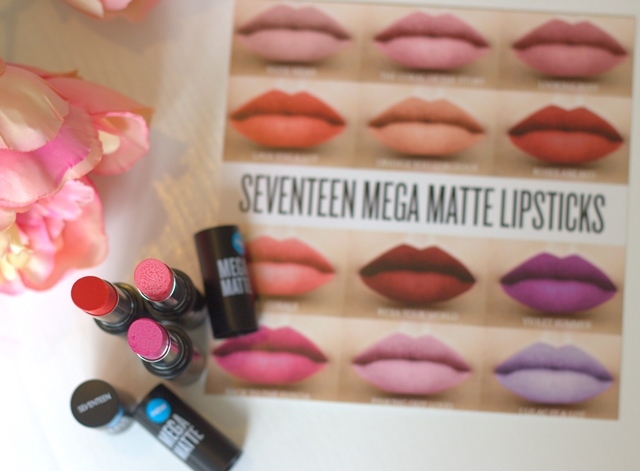 The packaging is simple and true to the SEVENTEEN brand, I love the slim-line look of the lipsticks. There are 12 bold shades in the range, including nudes, pastel and brights. The lipsticks are said to last for up to 13 hours as well. I have the shades Lava you lot, Back to the Fuchsia and No Corals. All very bold and bright shades perfect for Summer. ‘Before applying lipstick, always exfoliate to make sure all the dead skin is removed and your lips don’t dry out.’ I think this a top tip for matte lipsticks as everything shows! 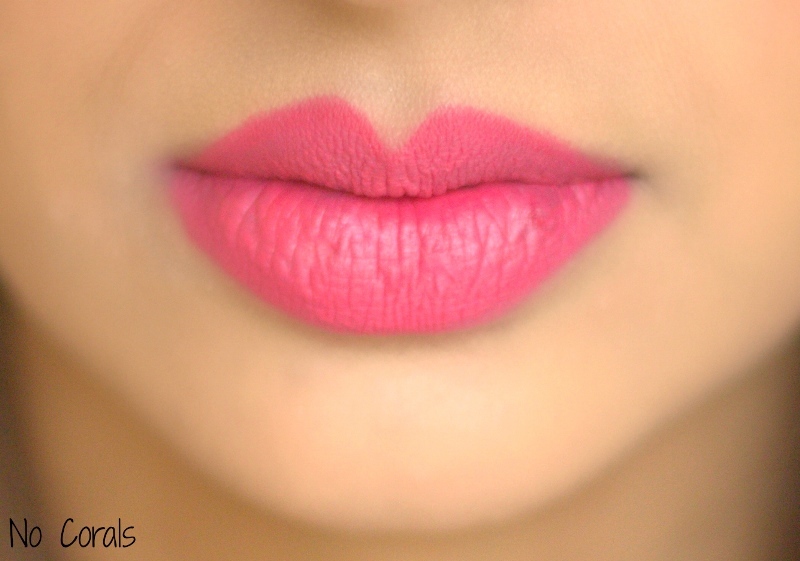 To add extra definition, use a lip liner in a matching or slightly darker shade. 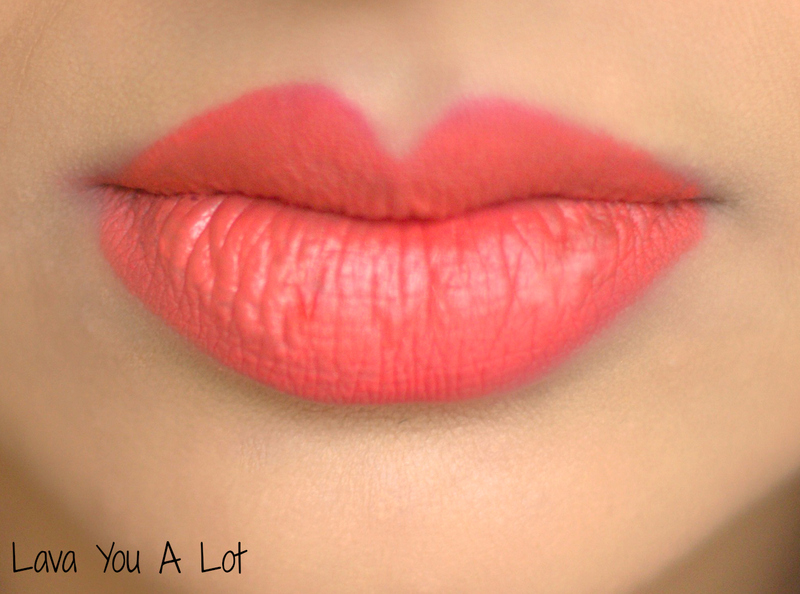 To match your matte lip colour. Once you’ve applied your lipstick, touch up your liner and blend with your finger where necessary.’ Using a slightly darker lip liner helps to define your lips and make them look fuller by contouring the area.